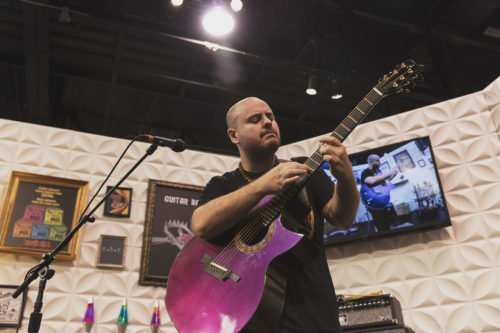 The Colors of Rock ‘N’ Roll at NAMM continued into Day 2 with a list of artist performances and influencer Q&A’s. 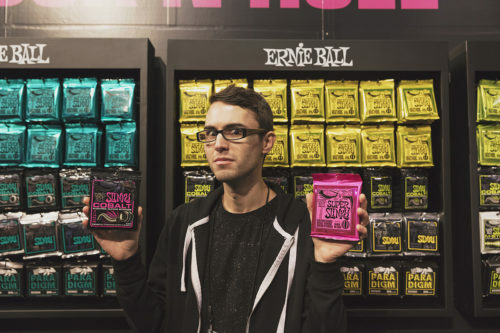 Get the inside scoop on everything Ernie Ball on Friday at NAMM. 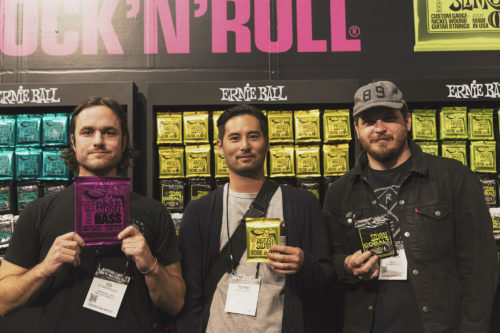 The influencer hype kept on coming when Ernie Ball artist and good friend Steve Terreberry came by the booth to check out all of the new 2018 products. 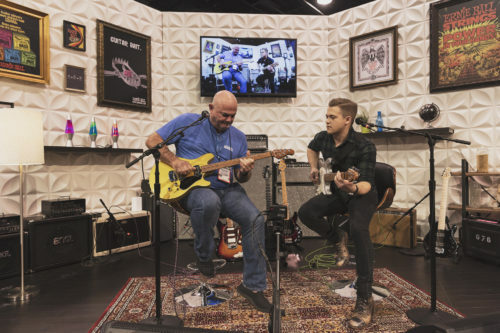 Ernie Ball artist, and good friend of the Ball family, Hunter Hayes hung out at the NAMM booth for a Q&A with Sterling Ball. Hunter partnered with Ernie Ball for the Pursuit of Tone series last year which is a must-see! 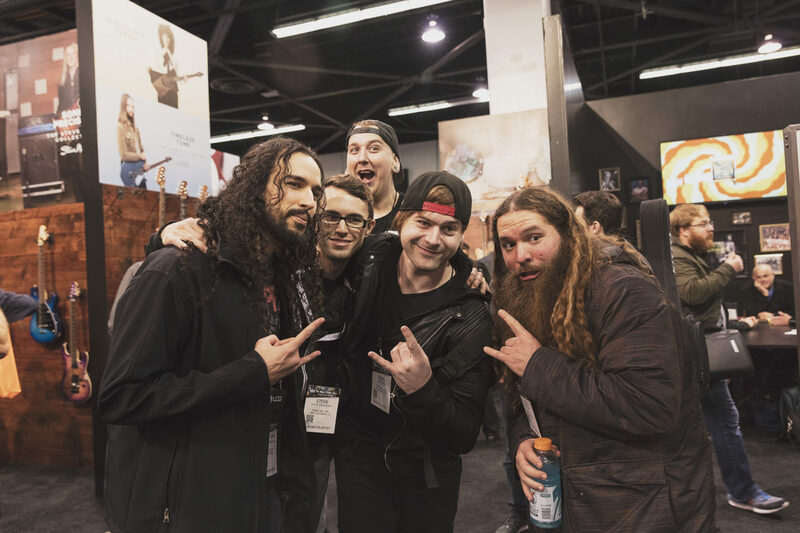 The ever popular band and Ernie Ball artist Thrice came by the booth to meet with their fans for a signing. Andy McKee ended the day with a beautiful performance playing acoustic guitar. Check out one of our favorite Ernie Ball: String Theory videos with Andy. 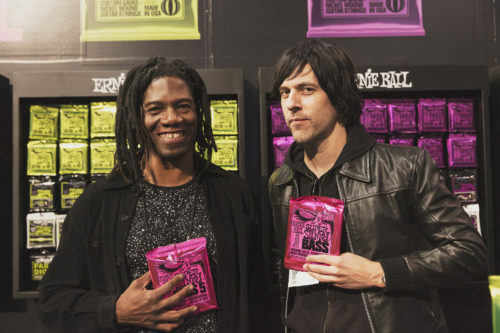 Legendary bassists, Philip Bynoe and Matt McJunkins (from the talent-filled band A Perfect Circle) came by the booth for a special duo meet and greet.